Megyn Kelly discussed Halloween costumes on her NBC show Tuesday morning with Melissa Rivers, Jenna Bush Hager, and guest host Jacob Soboroff. Kelly asked her panel why wearing blackface was racist when a person is dressing like a character. People were quick to criticise Kelly on social media, posting clips of the comments and calling the NBC host racist. Megyn Kelly on Tuesday apologised after a deluge of criticism came when she defended wearing blackface for Halloween on her talk show Tuesday morning. 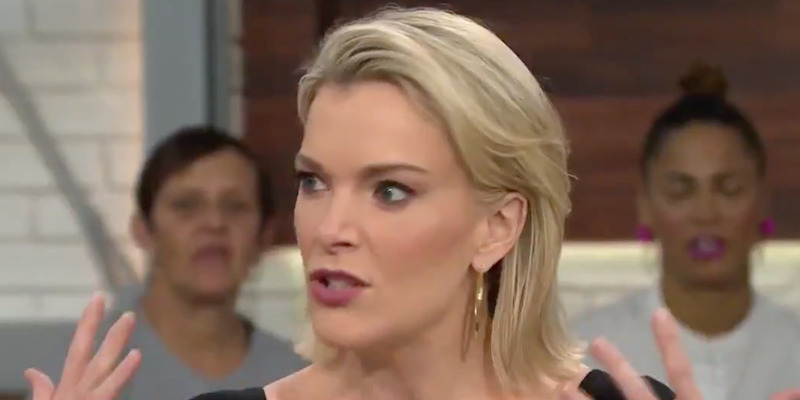 While speaking to Melissa Rivers, Jenna Bush Hager, and guest host Jacob Soboroff on “Megyn Kelly Today,” Kelly asked why wearing blackface was racist. The discussion was part of a segment on Kelly’s show in which the panel was talking about universities cracking down on inappropriate and offensive costumes. In the clip, Kelly referenced “Real Housewives of New York”‘s Luann de Lesseps, who darkened her skin to dress as Diana Ross for Halloween last year. After an episode showing the costume aired in April, de Lesseps apologised, saying she didn’t mean to offend anyone. Kelly questioned why people were offended by de Lessep’s costume. People took to Twitter to criticise Kelly’s statements. Kelly’s cohosts were less supportive of the costume, however. Kelly later apologised for her comments in an internal email seen by The Hollywood Reporter. “Particularly on race and ethnicity issues which, far from being healed, have been exacerbated in our politics over the past year. This is a time for more understanding, love, sensitivity and honour, and I want to be part of that. I look forward to continuing that discussion,” she wrote. This isn’t the first time Kelly been criticised for her comments about race. In 2013, Kelly declared Santa Claus and Jesus were white and said there was no need to change their race. “Just because it makes you feel uncomfortable doesn’t mean it has to change,” she said on Fox News.